Semifinalists (from top left to right) Michael Dunsmore, Diana Greene, Sito Narcisse, Harrison Peters, Erick Pruitt. 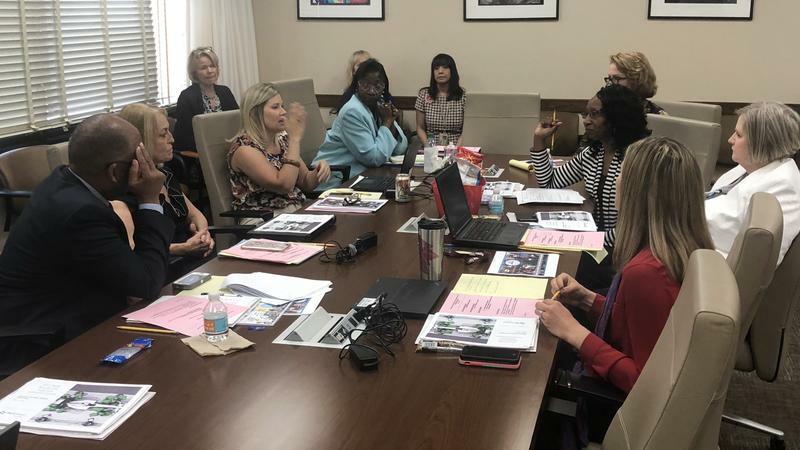 Over the weekend, a focus group made up of educators and parents, including PTA heads, and other community members interviewed the semi-finalists. Each interview lasted about an hour, with group members asking questions about budgeting, school safety and how the candidates handle tough situations. School board members can use feedback from the focus group members in their decision-making tonight. Board members have already privately met with the candidates one-on-one. 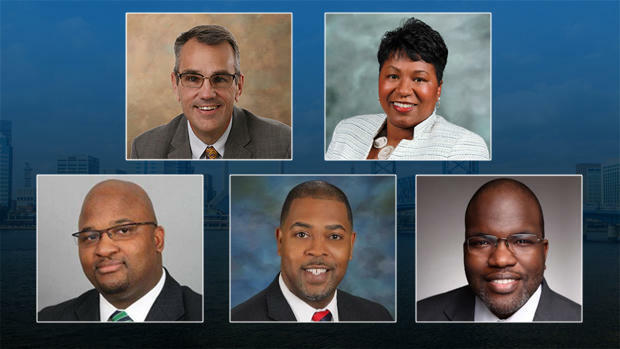 The board is aiming to choose a new superintendent late Friday afternoon after interviewing the top candidates this week. Narcisse has been chief of schools since 2016. Before taking the job in Nashville he was an associate superintendent in Maryland. He began his career as a teacher in Williamson County, Tennessee. 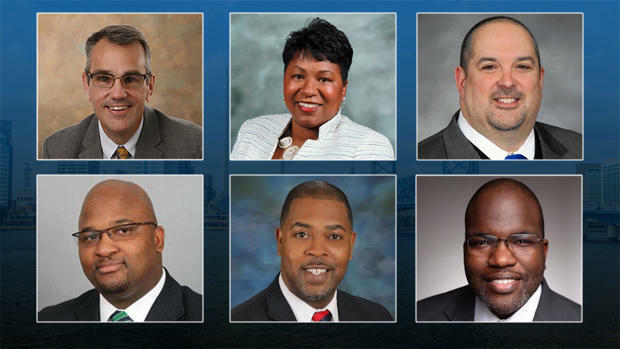 School board members unanimously voted for Narcisse as a semifinalist. Greene has been Manatee County’s superintendent since 2015. Prior to that she was a deputy superintendent in Manatee County and held in various roles with Marion County’s school district. Greene began her career teaching in Duval County for about a year in 1985. Six of seven school board members voted for Greene as a semifinalist. Dunsmore has led Wayne County Public Schools in North Carolina since 2015. Prior to that he was superintendent for Tyrrell County Schools. Dunsmore was the head college wrestling coach at Shippensburg University for eight years until 2001. Five of seven school board members voted for Dunsmore as a semifinalist.